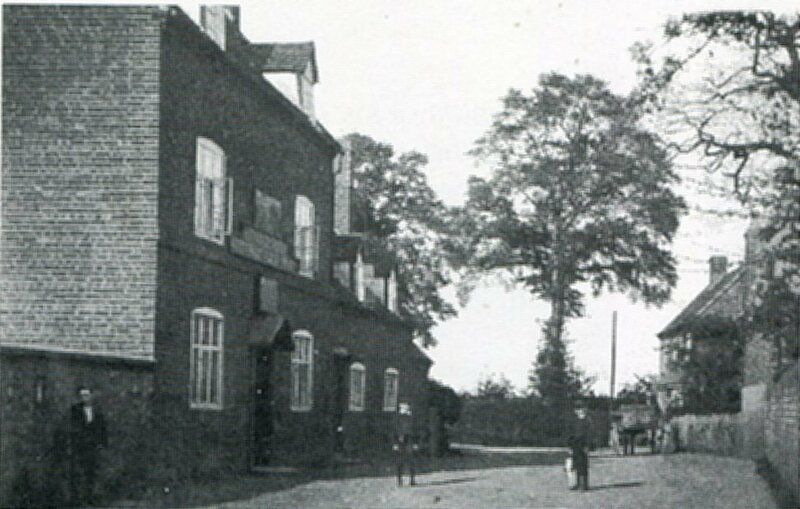 There is a detailed section on the school in Marjorie Bailey's History of Harvington. 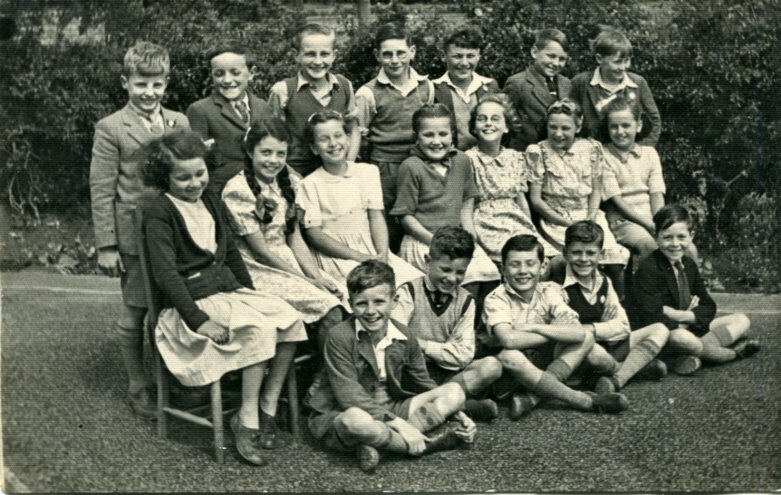 This page has been created to house group photographs of the children. 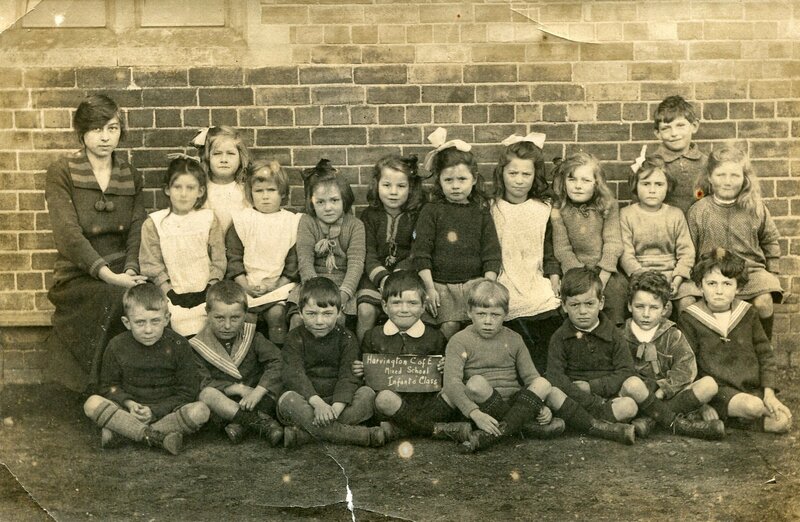 School photograph dating from December 1915. Back row: Dorothy Prudden (Teacher), ?, ?, ?, ?, ?, ?, ?, ?, ? Back row: John Shailer, Roger Ludlow, Eric Blake, Clifford Bishop, Reg Bromley, Brian Withers, Gerald Hiorns. Front row: Martin Lockey, David Savage, Mike Harris, John Bishop, David Bishop. 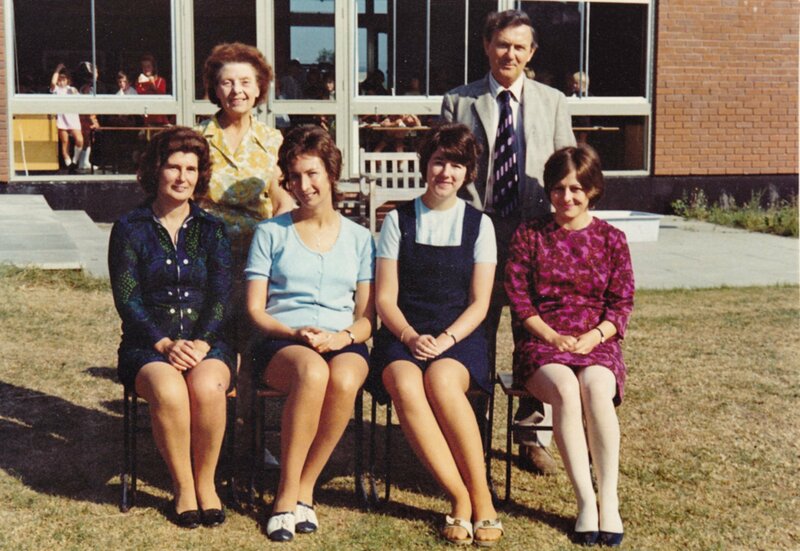 front row: Mrs Peggy Prudden, Mrs Shirley Hardiman, unknown, Marcia Palmer. Photograph donated by Terry Prudden, taken circa 1978.